Culture comes to St Wilfrid’s | IT'S HAPPENING IN HEELEY! 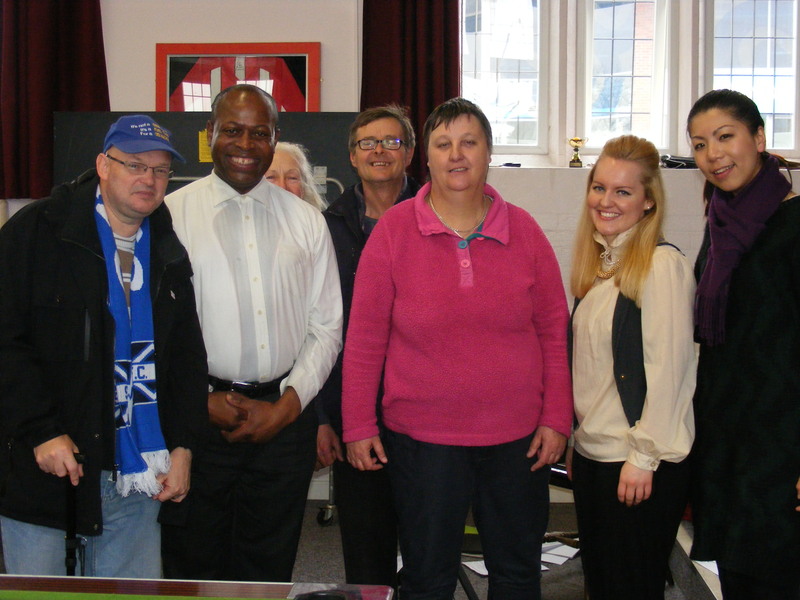 Chloe and Stephenie on the right of the picture with clients from St Wilfrid’s Centre. Clients and staff at St Wilfrid’s Centre for the homeless and vulnerable enjoyed an afternoon of music recently when professional musicians Chloe and Stephenie came to entertain. Soprano Chloe and Pianist Stephenie enthralled the gathered audience and mesmerised them with their music. Everyone was treated to a sprinkling of Gershwin and a dash of Puccini and Bizet. The audience listened in silence as Chloe filled the hall with her amazing voice. Stephenie also treated them to a taste of China when she played a beautiful piece by a Chinese composer. Chloe also encouraged the clients to make their own music using percussion instruments and to conduct the pianist as she played. The visit was funded by the Mayfield Valley Arts Trust and the J G Graves Charitable Trust and was organised by Live Music Now.